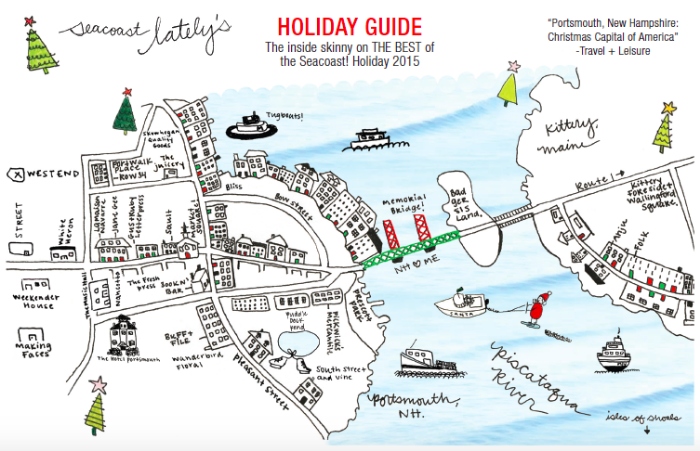 THE INSIDE SKINNY ON: Seacoast Lately’s Holiday Guide! It’s official: The holidays are upon us! Over 20,000 people expected to visit Portsmouth a.k.a ‘The Christmas Capital of America’ this season…isn’t that crazy?? Just in time for Plaid Friday and Small Business Saturday, the Holiday Guide has arrived! 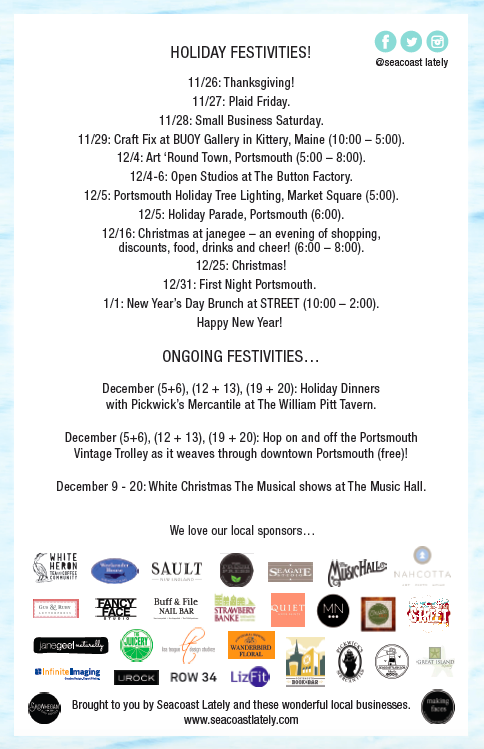 These carefully curated guides are scattered around downtown Portsmouth and Kittery so, if you’re headed downtown, be sure to pick up a copy of your own! A huge THANK YOU to all of the amazing local businesses involved….